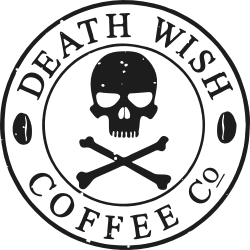 Death Wish Coffee has been categorized under the SCAA as a specialty roast, or a gourmet blend. As a blend that offers high caffeine content and an unparalleled flavor profile, Death Wish Coffee's recommended brewing ratio is 2.5 tablespoons of grinds per every 6 ounces of water. This recommended ratio is designed to ensure the kick of caffeine without compromising the overall taste. What good is a strong cup of coffee if it doesn't taste good? Death Wish Coffee stands up tall and dark at the podium. This unique roast is about 200%* more caffeinated than your average coffee house cuppa joe. Now, put that in your brewer. Lighter Roasts Have More Caffeine?